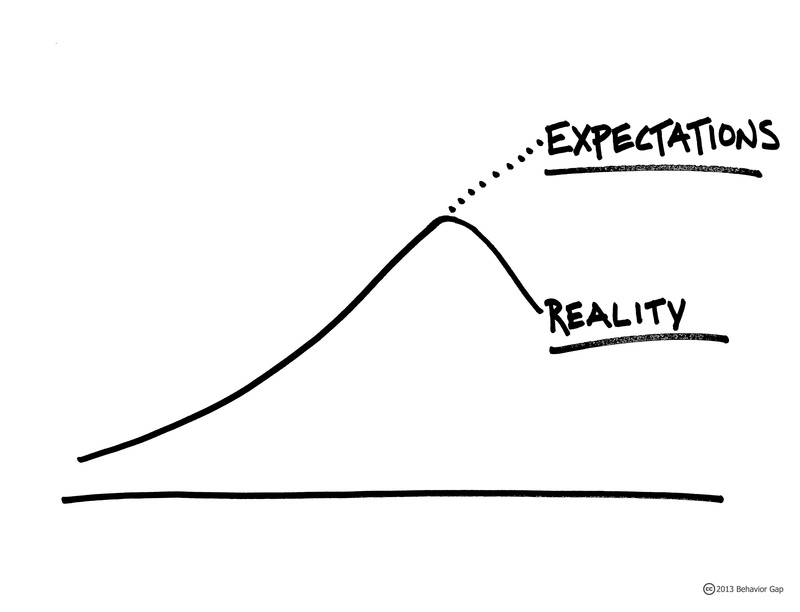 Expectations are very tricky because they’re almost always wrong. But our expectations drive our behaviour anyway. We are programmed that way. In fact it is a genetic trait of humans to base our view of the future (our expectations) on the past; we have very little else to base it on. But we have very short-term memories, so our natural inclination is to define the past as the very recent past. Then one day something changes. The solution is simple, but it’s not easy to execute. We need to train ourselves to lengthen our definition of the past. We need to remember those times in our lives when things changed. Think of the times when you expected things to happen a certain way based on your recent experience. You then changed your behaviour to reflect those expectations. Then just at the point where that behaviour reached an extreme, something changed and you found yourself wishing you had behaved differently.